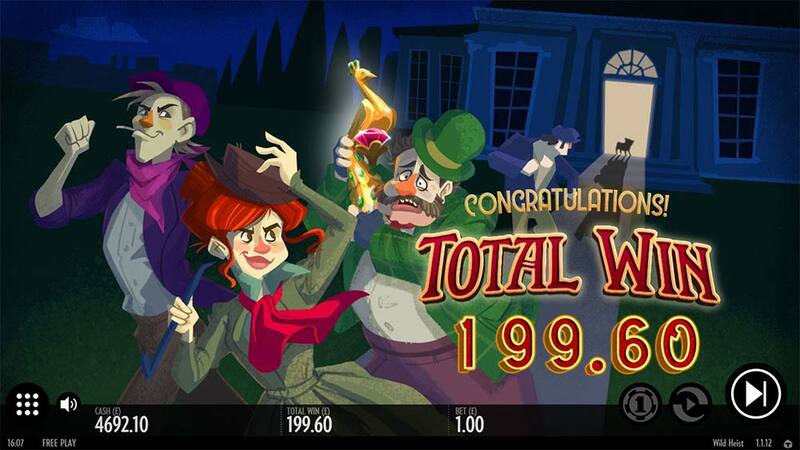 Thunderkick Aims to Impress With a Gritty Crime Saga – Wild Heist at Peacock Manor slot! Casumo Casino has recently added a brand new crime-themed slot from Thunderkick titled Wild Heist at Peacock Manor, join forces with a motley crew of thieves as they attempt to pull off an epic heist at lavish Peackcock Manor. 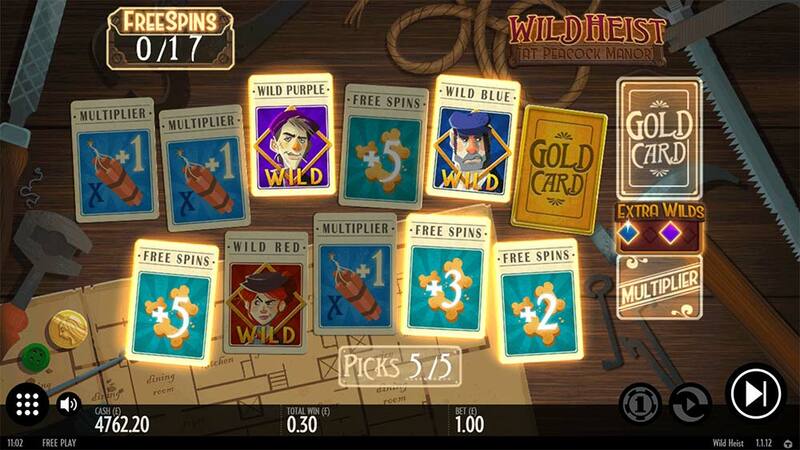 The Wild Heist slot uses a selection cartoon themed characters and seems to have some inspiration from the classic Cluedo board game with room maps and playing cards featured into the design along with Thunderkick’s brilliant ability to create a compelling overall theme for a slot. 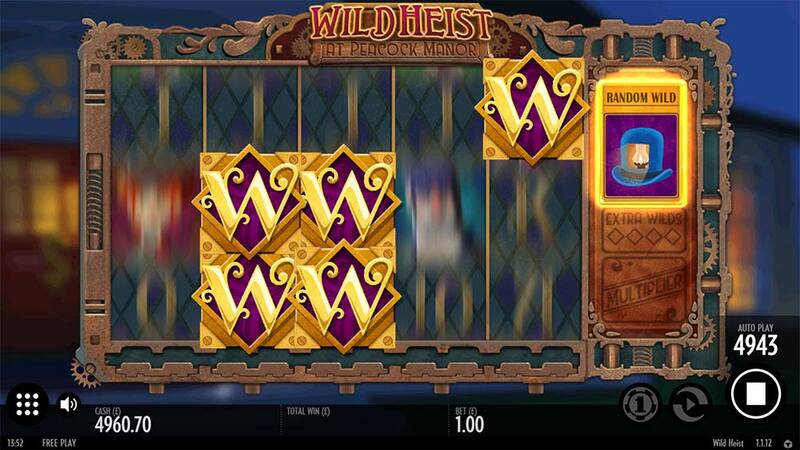 Using a regular 5×3 reel layout this slot has just 17 active paylines but comes with a variety of special random features that includes Random Wilds, Wild Reels and Walking Wilds that can occur during base gameplay and also feature in the bonus round too when the special “Gold Card” is revealed. 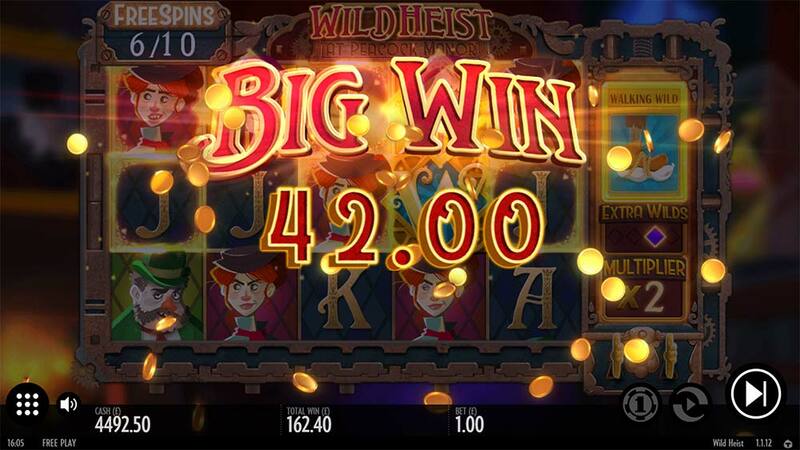 The main excitement, however, occurs during the bonus round which is triggered by landing 3 or more of the Key Scatter symbols, more scatter landing gives more picks before the round begins which leads to more modifiers during the bonus such as extra free spins, multipliers and extra wild symbols and the coveted “Gold Card”. Along with all these initial bonus modifiers, the re-triggers during the bonus can also grant further bonus picks which can help to extend the bonus round, add bigger multipliers or additional wild symbols. Make sure to check out all the special features and bonus mechanics in the Wild Heist at Peacock Manor gameplay video below. During the base game at random, the Mystery Feature may activate, during this spin, one of the 3 special wild modifiers is chosen and then added to the reels, this can all be tracked on the right-hand side of the slot. The Wild modifiers can be Wild Reels, Random Wilds or Walking Wilds, these are the same features which are applied to the bonus round when the Golden Card is picked. The main bonus round is triggered by landing 3 or more of the special Key Scatter symbols on the reels, additional scatters provide you with extra picks during the first part of the bonus round. From the bonus pick screen, there are a variety of rewards on offer, these include. During the bonus, round it’s also possible to re-trigger this picking round with just 2 scatters giving you the chance to add further modifiers to the bonus round. 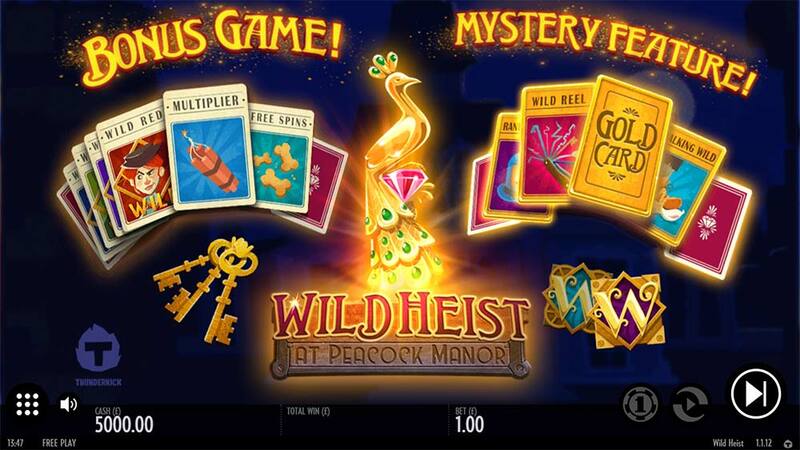 The Wild Heist at Peacock Manor is a really interesting release from Thunderkick with a great attention to detail in the design and very novel bonus features such as the Walking Wilds which can really help to extended the bonus rounds. In our playtests, we had some very mixed results from the bonus round in the range of 1x stake right up to 200x stake and we’re guessing there’s plenty more potential if you manage to get several re-triggers, walking wilds and lots of the character wild symbols from the picks. Generally, though the bonuses tended to fall in the 20x to 50x stake range. 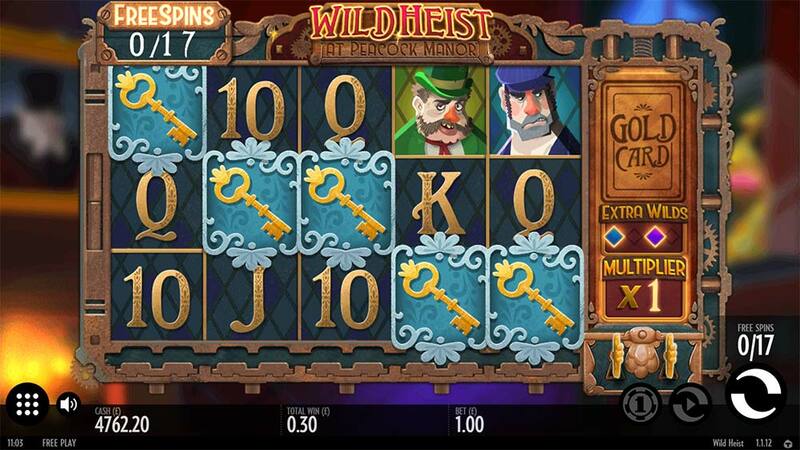 Overall Wild Heist is a thoroughly enjoyable slot to play although the base game did feel a little lacklustre and a bit lacking in win potential, the bonus round is where this slot shines with its massive array of modifiers making each bonus round totally different. One to try if you have enjoyed Thunderkicks previous slot releases.